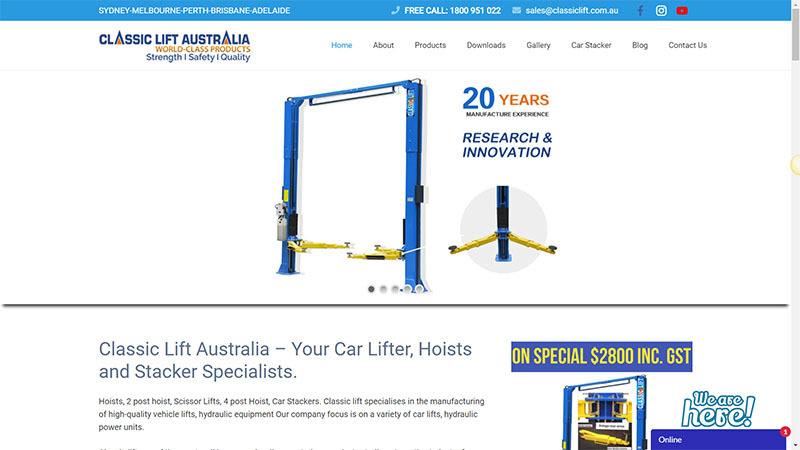 Classic Lift Australia is a Car Hoists, Car Lifter and Stacker Specialists servicing Melbourne, Sydney, Perth, Brisbane and Adelaide. 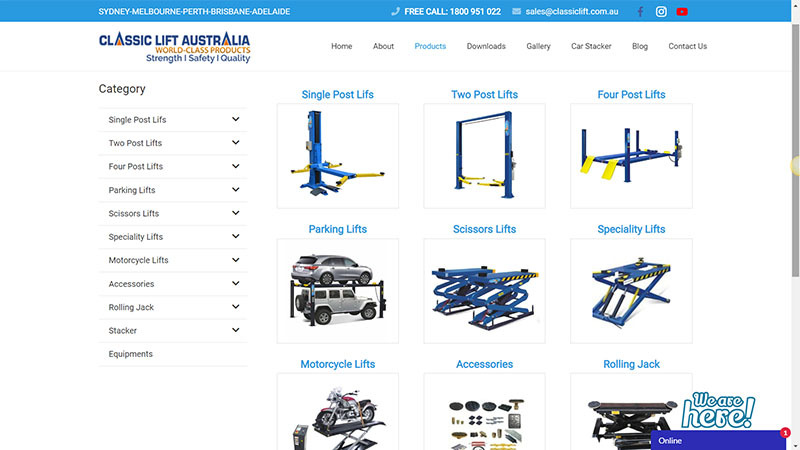 Classic lift one of the most well known and well respected names in Australia automotive Industry for Hoists, Car Lifts and Automotive Equipment. We recently upgraded the website to include the latest website features and the latest WordPress back-end system, making it easy for the team to update and maintain their website. The website loads fast, is secure and works on all devices as well. The website also benefits from its easy to use simple, yet very attractive design. The goal of this website was to clearly display all the right information for a customer looking for their services as well as showing up high in Google. We have achieved both of these goals with multiple high rankings in Google as well as a pleasing site that is easy to use and displays all the relevant information easily. 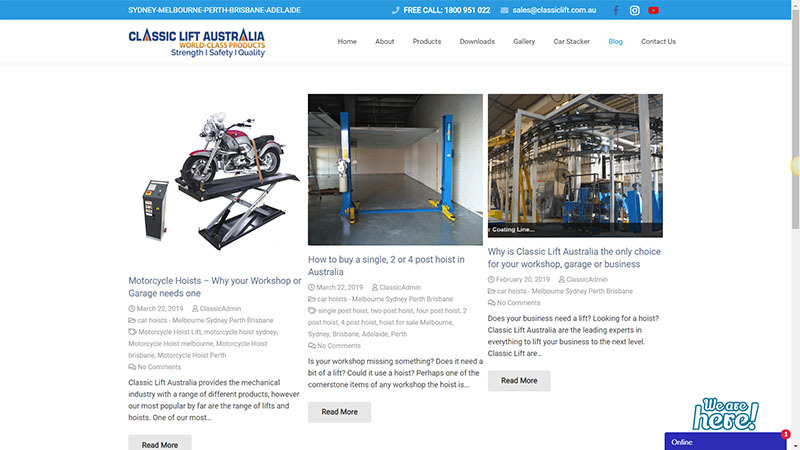 It’s our great pleasure to have worked with the team at Classic Lift Australia and give them a website that can continue to grow with and showcase everything that is great about them.